In this area you will find a complete archive of the exclusive webinar series VoiceComm and our partners have produced. Each entry is typically accompanied by supporting content, so make sure you download these materials in order to get the most out of the experience. Speaking of that, for the best experience, we suggest you sign up for webinar announcements to ensure you never miss an episode. We thank you for your interest and support. Pelican cases, some of the toughest and most dependable on the market, are trusted and relied upon by the military, police officers, fire fighters and adventurers around the globe. 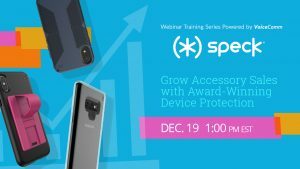 In this archived webinar, Pelican covered its history and the strength of its brand among consumers. 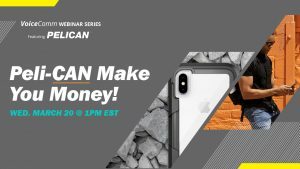 They also provided more detail about their case offer and provided strategy and insight into how you can make more money with sell through and the overall profitability of Pelican cases. The added value of a life time warranty certainly doesn’t hurt either! 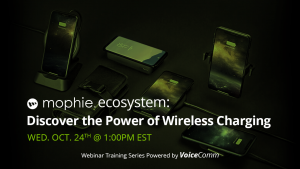 This archived webinar powered by VoiceComm and presented by TYLT showed you how to “Power Life’s Adventures” with TYLT wireless and portable chargers. 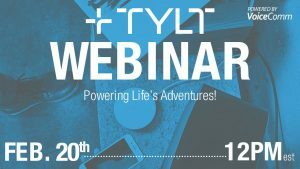 TYLT’s multi-functional products provide power when consumers need it the most. This includes wireless charging solutions as well as all-in-one charging solutions with built-in charging arms allowing consumers to leave the cables at home. 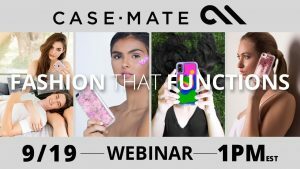 This archived webinar powered by VoiceComm and presented by Case-Mate gave participants a review of their new fall assortment and understanding what makes Case-Mate stand out in the market, for both customers and consumers. Case-Mate is looking at the fall assortment in a whole new way! They have developed this line to look at different segmented consumers and how they can design and provide quality products for each consumer. Consumers shouldn’t have to pick between fashion and protection because with Case-Mate, they get both.